Despite being part of one of the most mobile societies in history, it's easy for us to feel stuck where we are. Whether because of a recent move or because we're still in the exact same place we've been for years, many of us just aren't where we thought we'd be or doing what we thought we'd be doing. Sometimes we may wonder if God knows what he's doing. How can this be part of his plan? 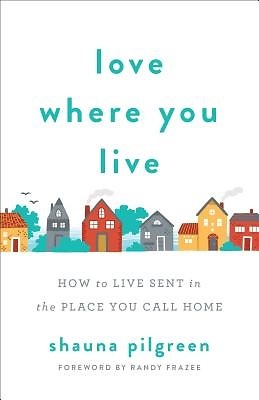 With enthusiasm and contagious joy, Shauna Pilgreen assures readers that, yes, God does have a plan and a purpose for them--right where they are. In fact, he sent them there. She invites readers to "live sent," showing them how to see their surroundings with fresh eyes and renewed energy. Weaving her own remarkable story with biblical habits readers can incorporate into their daily routines, Pilgreen equips us to reach out into our communities with God's love, knowing that our efforts are never in vain.